Tools are essential for the work of any social media marketing agency. However, with the head-spinning speed at which the industry evolves, it can be hard to keep track of all developments and all the excellent tools that keep popping up. That’s why we thought of helping you by reaching out to some of the most innovative and respected social media agencies around and to ask them about their preferred tools. We asked them what tools and software they use to help run their agency, and what impact they have on their businesses. Here’s what they said. Our principal project management tool is Wrike. It’s an excellent tool for prioritizing work and for communicating clear expectations among co-workers. It also has decent reporting. We also use Box for file storage, which integrates nicely with both Office 365 and Wrike. Finding, updating and sharing documents is much easier once we implemented these tools. Good Audience is a social media marketing agency that pairs you with dedicated marketing assistants who take care of your storytelling, audience growth, traffic, and ROI. They’ve worked with Kettle Brand chips, Import.io and more. All of the Good Audience founders come from impressive social media backgrounds, boasting follower growth in the millions for Yahoo! and Blogger, among others. We built a bunch of internal tools. Content creation, audience targeting, insights, and analytics. We haven’t really found products on the market today that fit our needs. True Social Metrics isn’t a social media marketing agency, but they are a valuable player in the industry. Their tool allows social media agencies to gain actionable insight into their social performance, analytics and ROI. Their software shows Conversation / Amplification / Applause rates, top performing content and influencers, and allows you to compare your social media profiles with competitors, analyze their posting strategy, social media campaigns, followers and learn their best practices. Hubstaff for managing our team. Since we work remotely this is a great and easy way to manage our team without a headache. To analyze our social media channels, compare with competitors and get some great content ideas from rivals we use, surprise, surprise 🙂 our own tool – TrueSocialMetrics. In conjunction with Google Analytics to measure Economic value of each social channel, visits and behavior of potential and existing clients. And our Holy Grail of tools for work is Google Docs. We use it, literally, for everything – from Editorial calendar to Quarterly features plans, Case studies presentations, blog posts drafts. The list is endless. For communication inside the team and client meetings, we use Google Hangouts. In love with their video calls where we spend most of our time making live demos of the tool for customers and discussing our plans with the team. I also use WorldtimeBuddy app to manage the shift in time zones. When you have customers and team spread all around the world and have to travel a lot for conferences and other stuff it’s pretty easy to lose your head trying to guess the time differences. To clean up this mess this app really comes in handy. Pocket – to optimize your time, collect and store new content and product ideas for later read. Guards you from constant distractions by helping read all these great articles later. Visual content creation is done with the help of Canva and Pablo by Buffer. Helps you make cute images in seconds even if you are not a designer. Highly recommended for small business and if you just don’t like to spend tons of time waiting for your designer to create a tiny image for your tweet if it takes only 5 seconds to do it yourself. I would say that the impact of these tools is huge, I doubt you could run a business without all these stuff that saves tons of our time, makes the work more productive and helps you center your efforts on actually developing the tool and helping customers solve their problems instead of wasting your time on trying to organize the work that surrounds this process. Point It is a 33-person digital marketing agency that specializes in Paid Search Marketing, Search Engine Optimization, Display, Paid Social Advertising and Website Development. They were on Puget Sound Business Journal’s 100 Fastest Growing Private Companies and Inc. 5000 Fastest Growing Private Companies in America five years in a row. They were also featured on MarketingNW for their article on the ABC’s of B2B Social Media. On the reporting side, outside of Excel, we’ve begun depending on marketing dashboards (such as Funnel.io) that can pull in your standard campaign metrics (spend, impressions, clicks, CPC, CPM, etc.) from all paid channels so we know, basically in real-time, how all our marketing budgets are being spent and the most effective channels. I don’t use many tools. A few years ago I was surrounding myself with tools, hoping they will help me with my productivity. But I came to a conclusion that fancy tools don’t play a significant role when it comes to productivity or performance. Fewer tools mean fewer distractions and more time for actual work. But I do use a few tools that have changed my business significantly. The #1 tool I do use is my iCalendar. I have every meeting, every project and every task noted there. Calendar plays an important role in my productivity process. It’s actually the only tool I’ve stuck with for years. I schedule my tasks one day in advance and have to finish them. I use Drip to stay in touch with my audience and to provide value to them week after week. I teach them about social media a lot, and that helps me with building my authority and gain more traction, which leads to more customers, clients, and excellent relationships. 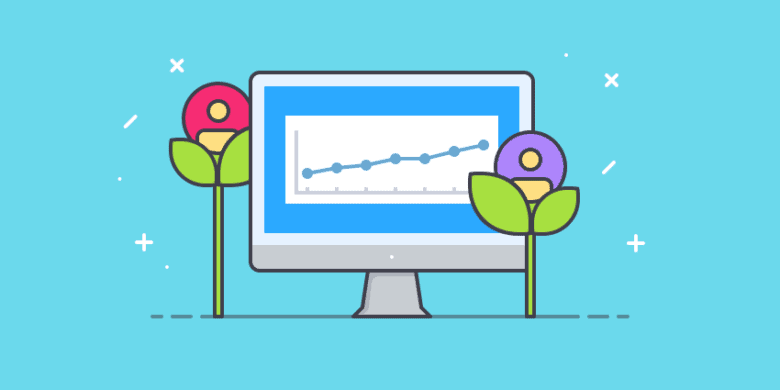 Sprout Social – We use Sprout Social for scheduling social posts, keeping track of campaigns, and analyzing social media metrics and trends. Basecamp – A great resource for small agencies with several clients and projects to manage, Basecamp is indispensable for us. Our project managers utilize Basecamp in several ways: assigning tasks, tracking progress, and storing key information related to each project. Redbooth, Zendesk, and Teamwork – These three project management and customer service tools are ones we use often to interact directly with specific clients who have requested such. Each is useful in their different ways. They help us to stay connected with the client, ensuring open communication and timely responses to requests and tasks. MailChimp – A classic email marketing tool, MailChimp is one we love to use for our clients who need simple yet amazing email campaigns. Adobe Creative Suite – For all our video and design needs, we use Adobe Creative Suite. Other – There are a handful of other client-specific tools we sometimes employ: WordPress, Constant Contact, CheetahMail, Wishpond, Bitly, and Socialbakers. Socialfly is a full-service social media marketing agency that specializes in social PR. Co-founders Stephanie Abrams and Courtney Spritzer work with influential bloggers to help promote client’s brands, and also offer creative services and consulting. Socialfly has been featured in Bloomberg, Arise Entertainment and Social Media Today, and the two co-founders authored a book on social media titled Like, Love, Follow. We use Harvest to track the time we spend on all clients and the tasks that we are performing for our clients. We use Hootsuite to help monitor mentions for the brands that we are working with. This helps us stay up to date with what is being said about the brands that we work with. We also use Crowdfire to help manage the followers of our clients Twitter and Instagram accounts. Crowdfire has been very helpful in saving us time. Our sincere thanks to all the social agencies who took the time to share the tools they use. Your turn! Do you use any awesome agency-running or social media tools that aren’t covered in this article? We’d love to hear about them in the comments below.